About Me I have the expertise to give you a crystal clear look at your home. With McLaughlin Home Inspections, you can rest easy knowing that you've chosen the right home inspector. I work exclusively for you, to serve your best interests and to arm you with the information you need. I hold myself to a high standard of ethics and professionalism to provide you with a comprehensive, unbiased report on the condition of your home. I've built my reputation one inspection at a time by providing the absolute best service possible in a consistent and professional manner. I have the experience and knowledge necessary from a lifetime of construction experience to provide a detailed inspection and to distinguish between major and minor problems with the home. I encourage you to be present during the inspection. You'll be able to see the condition of the home first-hand, and I'll be able to explain everything to you as I move throughout the house. 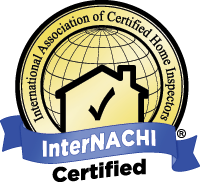 I received my certification from the International Association of Home Inspectors (InterNACHI), and continue to be a certified member. I adhere to InterNACHI's home inspection standards of practice and abide by their strict code of ethics. I also keep my knowledge up-to-date with continual education classes every year and am also a Certified Master Inspector. I will conduct a thorough visual inspection of the property to give you a clear picture of exactly what it is you're buying. With that information at your fingertips, you'll be able to make an informed decision and avoid any nasty surprises in the future. Below you'll find a general outline of what my home inspections include. For more detailed information, visit my services page. View detailed information on the different types of inspections I offer, and what each one covers.